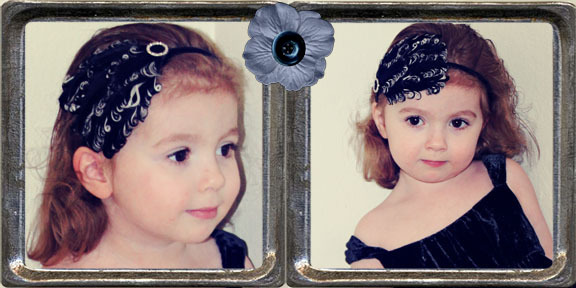 Quickly becoming all the rage in every age group are these very posh feather headbands. They are everywhere and are expensive! Even if you can't make a thing you can whip this baby out in 4 minutes! 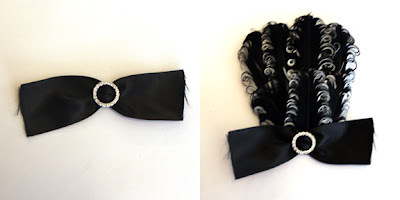 5 inches of satin double face ribbon- we used 1.5"
Weave your satin ribbon through the rhinestone buckle. Next place a small dot of glue in the middle of your feather pad at the narrow end and press your satin with the buckle into the glue. Decide where you want your finished feather pad to lay on your headband. 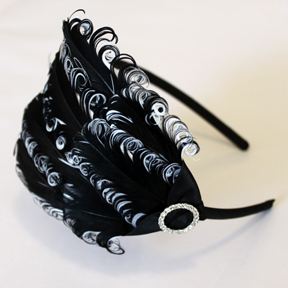 Add hot glue to your headband and press your finished feather pad, making sure to hold it long enough for the glue to set up. Posh enough for fancy events. Versatile enough to wear with your everyday casual! Ok, maybe not mine but not much looks appropriate with sweats, except maybe a scrunchie. Where do you buy the feathers? 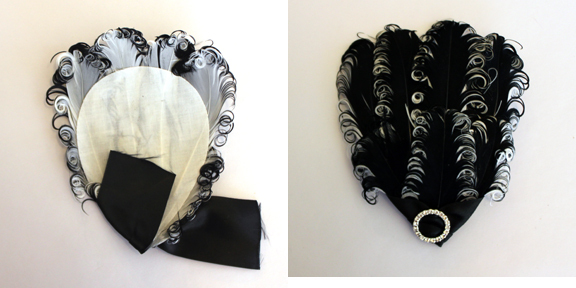 Currently I would suggest www.etsy.com which you can search by entering Nagorie Feathers under supplies. We will be carrying a variety of wonderful colors on our website in the next 1-2 months. Terrific, can't wait to try to out! This is beautiful, I can't wait to get some feathers and try it out. I love this I am going to be making some of them tonight!